One of the Dubai’s vivacious nightclubs, The Premiere allures both locals and international clientele to enjoy a great night out, while dancing with their friends or loved ones. This international level nightclub has everything that one can expect of this kind of club. As their services range from extensive selection of drinks to talented local Dj playing international music, large dance floor to chic settings and much more. Due to these fine features, The Premiere has made several people its regular visitors now, while others wait in queues to enter into this amazing nightspot. If you too have the desire to dance away all night then, head towards Deira locality in Dubai, where The Premiere Night Club sits in the famous Hyatt Regency Hotel. Resident DJ creates vibes at the Premiere Nightclub of Hyatt Regency with international rhythms and draws guests to their electrifying dance floor. Locals and tourists all enjoy dancing at this venue, where party stays alive till late night. Moreover, at this nightclub customers can also relish extensive range of beverages too, which includes wine, cocktails and spirits. To view the menu of the Premier Nightclub, click here! 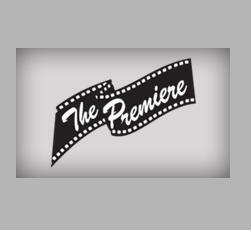 Opening hours of The Premiere Night Club are from 9:30 pm to 3:00 am. Hyatt Regency Dubai, D 92 - Dubai - United Arab Emirates. 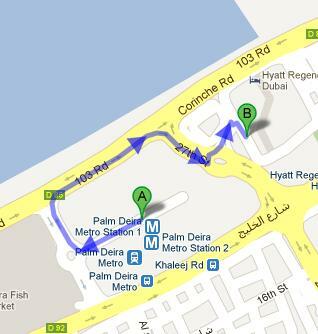 Palm Deira Metro Station 1 is 850 meters far from The Premiere Nightclub in Hyatt Regency Dubai. This makes it a walking journey of about 11 minutes, if a patron heads in the southwest course from Palm Deira Metro Station 1. Then at the roundabout patrons should take the first exit onto D 85, after which pedestrian should make slight right turn onto 27th Street. This will bring the patron to a roundabout, from where he or she will take the second exit. Afterwards patron will reach another roundabout, from where he or she will again take the second exit and soon find destination after covering some distance on the left. Bus number 17 serves Hyatt Regency Hotel – Dubai bus stop that is 6 minutes walk from The Premiere Nightclub, as the distance between these two places is close to 450 meters. To finish this journey in 6 minutes on foot, bus user should head in the southwest course on Al Khaleej Road/D 92 towards 27th Street and then turn right onto 27th Street. This will lead the bus user to a roundabout, from where he or she will take the first exit in order to get to another roundabout, from where bus passenger will again take the first exit and after that find the destination on the left. Check map for directions.